Reprint. Originally published: London: Hutchinson, 2018. 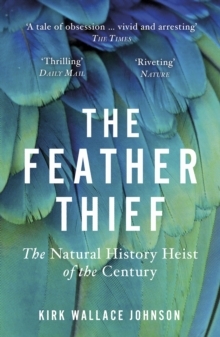 'A tale of obsession ... vivid and arresting' - The TimesOne summer evening in 2009, twenty-year-old musical prodigy Edwin Rist broke into theNatural History Museum at Tring, home to one of the largest ornithological collections in the world. Once inside, Rist grabbed as many rare bird specimens as he was able to carry before escaping into the darkness. Kirk Wallace Johnson was waist-deep in a river in New Mexico when his fly-fishing guide first told him about the heist. But what would possess a person to steal dead birds? And had Rist paid for his crime? In search of answers, Johnson embarked upon a worldwide investigation, leading him into the fiercely secretive underground community obsessed with the Victorian art of salmon fly-tying.